Countless movies and TV shows have scenes of dogs riding in cars. In many cases, a dog happily has its head out the window and is letting its tongue wag in the wind. While it is true that dogs of all breeds and sizes really love going for car rides, there are issues a dog can encounter. Specifically, some dogs suffer from motion sickness. If you believe that this may be an issue for your dog, keep reading to learn what you can do to help your pet. Motion sickness is most commonly seen in puppies and younger dogs. A big reason is the ear structures used for balance are still developing while a dog is young. One thing to remember is if a dog experiences nausea during its first few car rides, it may have that negative association for a long time. So the sooner you can treat a dog's motion sickness, the better. What exactly are the symptoms of motion sickness in dogs? In addition to vomiting, fear of cars, excessive drooling, whining, yawning, panting, uneasiness, listlessness or inactivity are all potential symptoms of this condition. In general, noticing multiple symptoms means there's a very high likelihood your dog has motion sickness. The other important thing to know about motion sickness is stress can be a contributing factor. If your dog vomits or displays any of the other symptoms we covered during car rides, it's worth taking a trip to your vet. This is the best way to determine if the problem is motion sickness or another issue like an orthopedic condition. Once a veterinarian determines that motion sickness is the problem, there are a number of ways you can help your dog. The first is to have your dog face forward during rides. You can use a canine seat belt to keep your dog in this position. Next, lower your windows a few inches to equalize the inside and outside air pressures. Keep your vehicle cool throughout the ride. If possible, try to avoid giving your dog food and water right before a ride. You can use a couple of healthy pet treats to help your dog feel good about getting in the car. The same is true for giving your dog a favorite toy to use as a distraction. 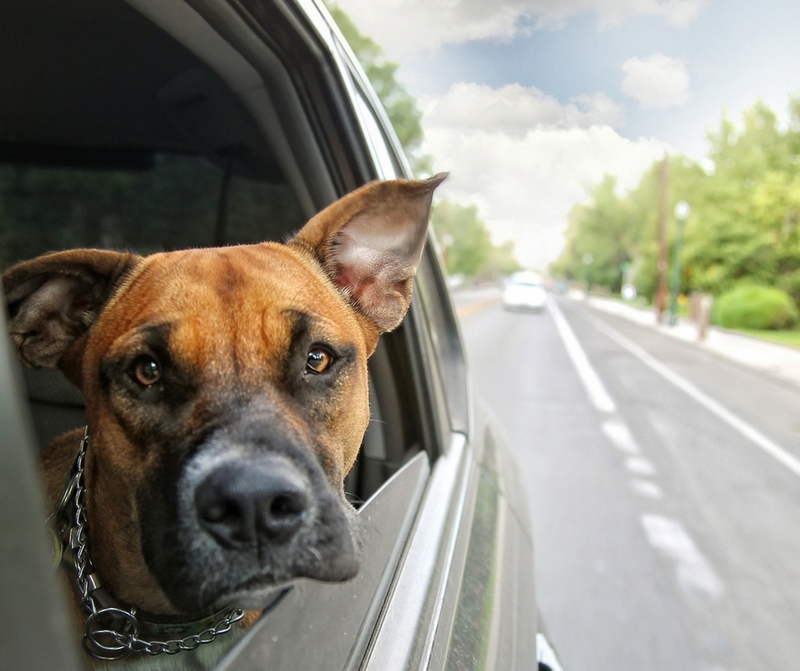 By following those tips and initially limiting your rides to short trips, you may be able to help your dog build up a positive tolerance for the car. If not, you can talk to your vet about using a dog medication that's specifically approved for preventing vomiting due to motion sickness.